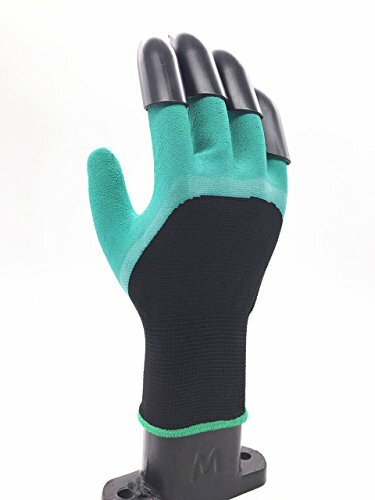 Features: – Protection of a glove with the efficiency of gardening tools. 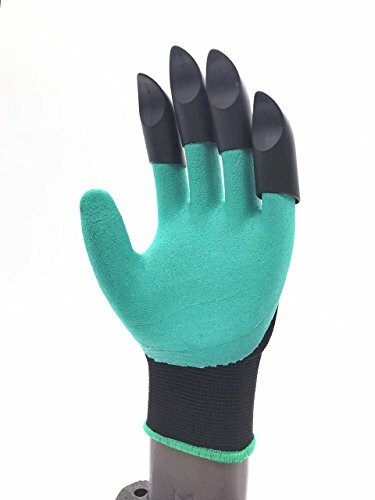 – Built-in gardening claws make digging, planting, raking, fast and easy. 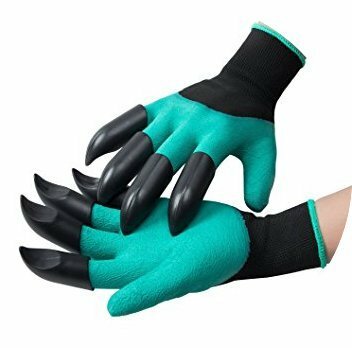 – Durable non-slip construction protects hands while preventing broken fingernails and sore fingertips. Puncture resistant design shields against sharp & thorny greenery. – Garden gloves rinse clean and don’t hold dirt leaving your hands dry, clean & protected. – They fit tight around your wrists which really helps make up for the extra room In the glove. 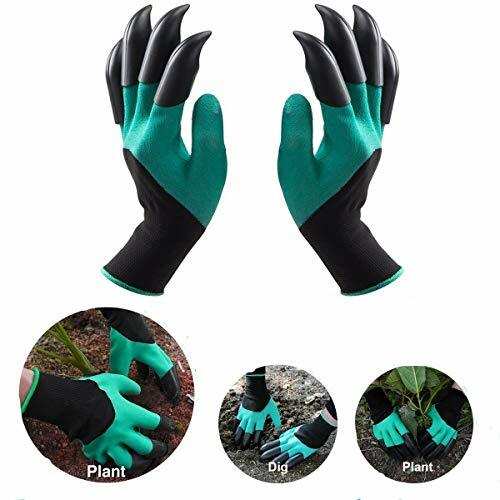 Material: Polyester + Rubber Latex + ABS Plastic Color: Black + Green Size: One size fits mostQUICK & EASY TO PLANT – 4 ABS plastic claws on LEFT & RIGHT GLOVE. (Value of 2 pairs in one!) All 8 claws have been attached with an environmentally friendly adhesive. Easy solution for digging, planting, and raking without hand tools. Durable construction prevents broken fingernails and bruised fingertips. A set of tools in each hand. Perfect for keeping up with your garden work! PROTECTIVE & DURABLE MATERIAL – Innovative polyester material with a natural rubber latex coating provides a comfortable layer of protection against thorns & punctures. This light and waterproof polyester keeps your hands clean & dry. Even after hours of work! 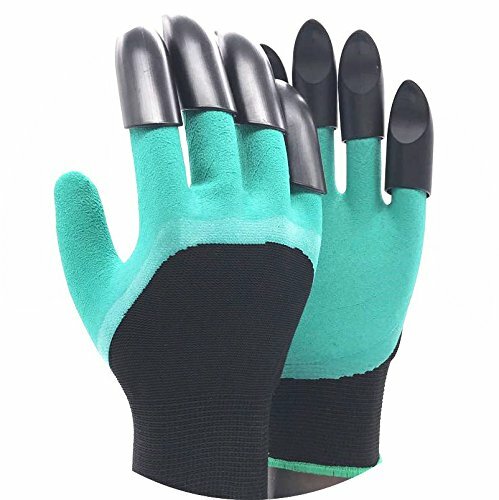 DIGGERZ LLC genie gloves keep your hands clean & dry without compromising protection!